Money is tight. Story of just about anyone’s life right about now, right? We’re a bit deeper into the “tight” than ever before. David makes less money at his new job, and his new job is also about 50 miles away – one way. Despite the fact that he drives the Prius and maintains a 48 MPG average it still takes a chunk out. Insurance for the family is also taking more from his paycheck than before as he works for a small company with only about 60 people on site. Oh and if all that wasn’t enough David is going to be going back to school in the fall taking a nearly full course load. I have someone lined up if I ever find a job that pays well enough to validate working. Bringing home $400-$500 a month does NOT qualify thus eliminating most of the jobs around here. Bouncing the girls between a baby sitter, school (for the eldest), and whichever parent isn’t working and is at home is not worth $500 to us. So all this means that being thrifty is a top priority. Of course I also want to maintain healthy eating habits while being able to have meals simple enough to make that I’m not tempted to say “screw it, I’m getting Papa Murphy’s tonight!”. 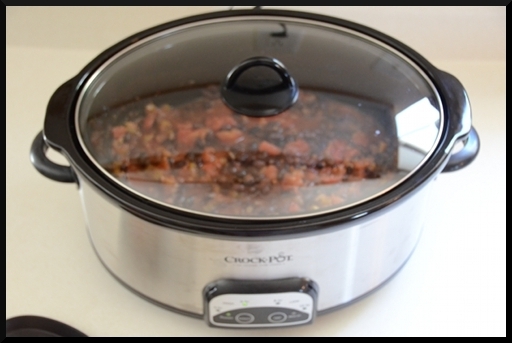 Enter the fabulous crock pot! My friend Stephanie is a stay at home mom to three kids, and has a husband (who I’ve known since I was 15) in the Coast Guard and gone fairly often. She’s the person who talked me into begging David for a grain mill and got me into cloth diapering. 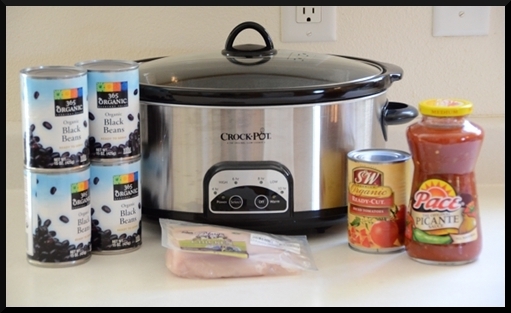 So to say the least she’s pretty good at being thrifty yet still healthy. I pick her brain for ideas with regularity. 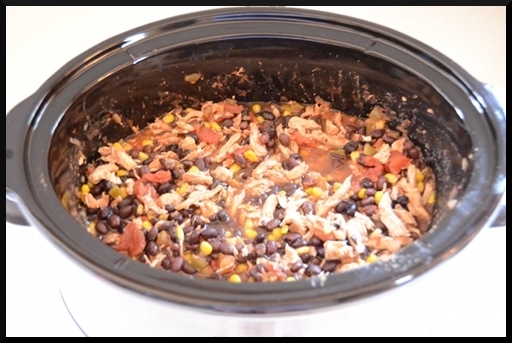 A few days ago she gave me a super simple crock pot meal idea … SouthWest Chicken. 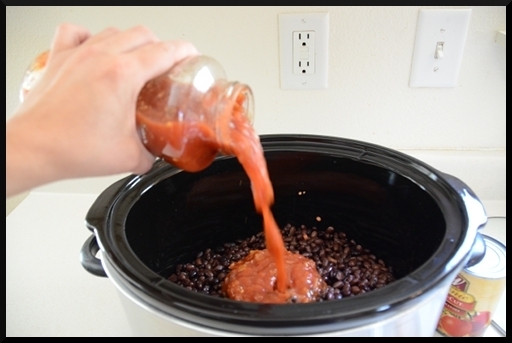 Place all ingredients in crock pot on high for 6 hours. 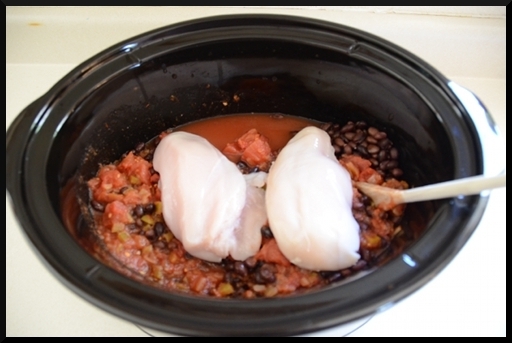 Yes, the chicken is buried in there cooking away.